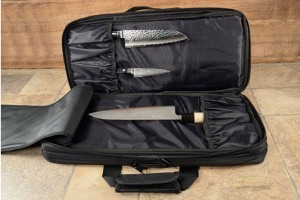 Description: The Ultimate Edge Evolution Deluxe 18 Slot Knife Case will make it easier for you to maneuver in a professional restaurant or catering setting. Born out of necessity for efficiency, accessibility and ease of use, their bags are uniquely designed with a portfolio layout. 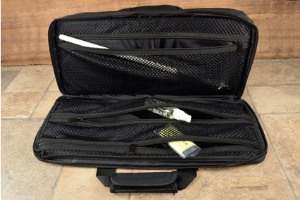 This compact bag measures approximately 20" x 9" x 2-1/2". The three compartment design has plenty of storage spaces for all your gear while requiring only a very small footprint in the kitchen. 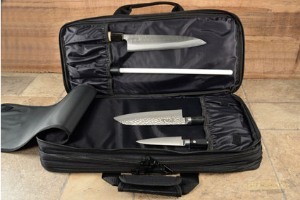 Two compartments are designed to up to 18 handled tools (knives, spatulas, steels, tall spoons, whisks, etc.). Slots alternate orientation so that the bag lays flat. A nylon flap lays between to ensure that your knives and tools won't rub up against each other. The third compartment holds tools and accessories (measuring spoons, cake testers, recipe cards, pens & pencils). 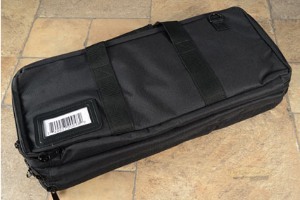 Five exterior pockets easily fit your cell phone, pens, business cards, etc. 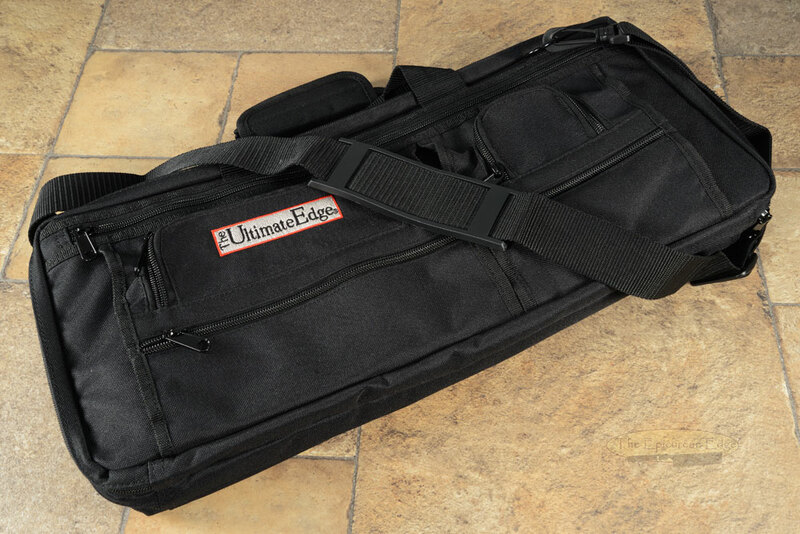 Extremely durable and well made - zippers operate smoothly, all pockets are stitched well and the material is ultra heavy-duty. 18 slots for knives, three interior mesh accessory pockets, five exterior accessory pockets. Accompanied by deluxe carrying strap. 0.140625 0.02734375 140.625 27.34375 Trailer Started.